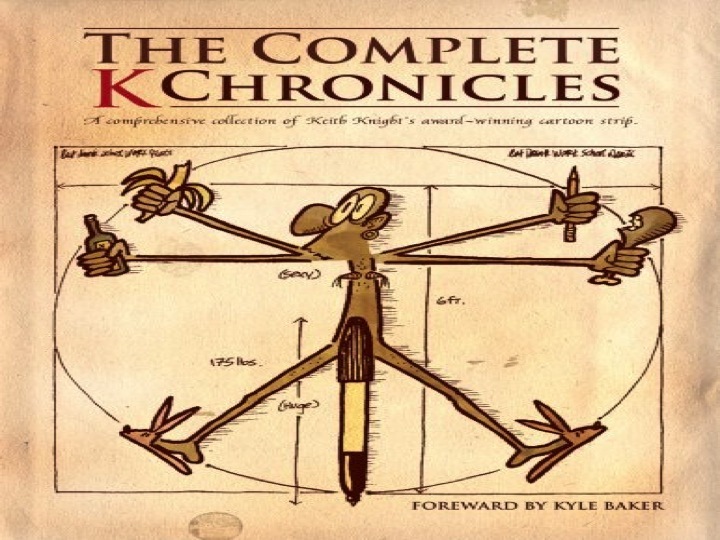 In April 2008, the website known as “Comics Worth Reading” asked readers to help answer a question sent in by a disgruntled initiate to the comics. 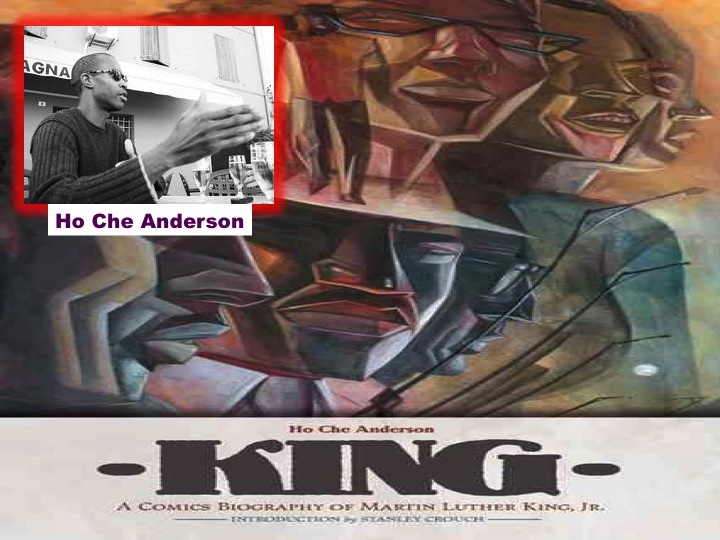 The blog post is entitled “Recommend Good African American Comics” but, as you will see, the query is not really looking for good African American comics in general, but for good African American autobiographical comics. Thus began the prompt that started me along on my present journey toward a response. Of course, the philosophical answers I have brought myself to would probably dissatisfy most web-surfers. 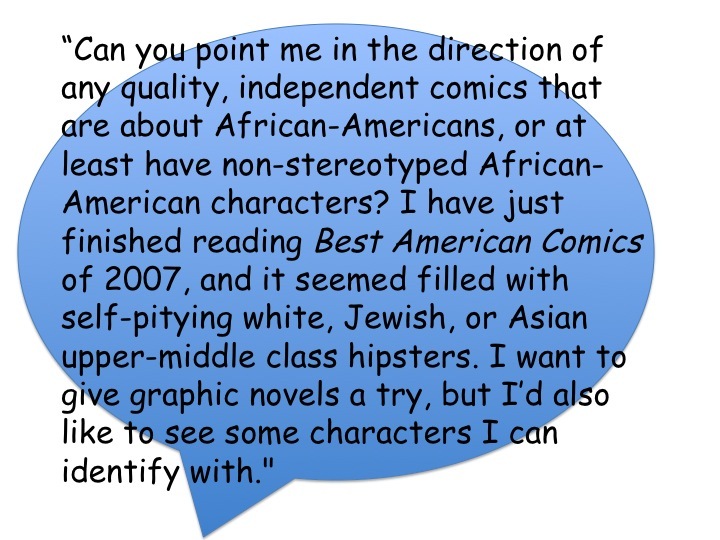 Just as I respond to a practical concern in one discursive context (a blog comment) with its own rules of exchange (instant gratification, the biting, offensive tone) with abstruse philosophizing, so too would the reader interested in African American autobiographical graphic novels have to be ready for some translation. 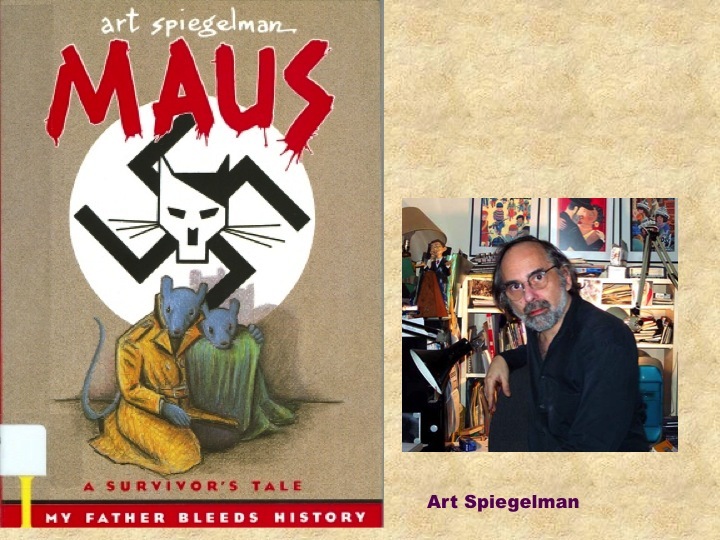 Such a reader must be willing to see evidence for the kinds of subjects normally associated with books like Art Spiegelman’s Maus in very different kinds of texts, where autobiographical subjects as we have come to understand them are so difficult to see. 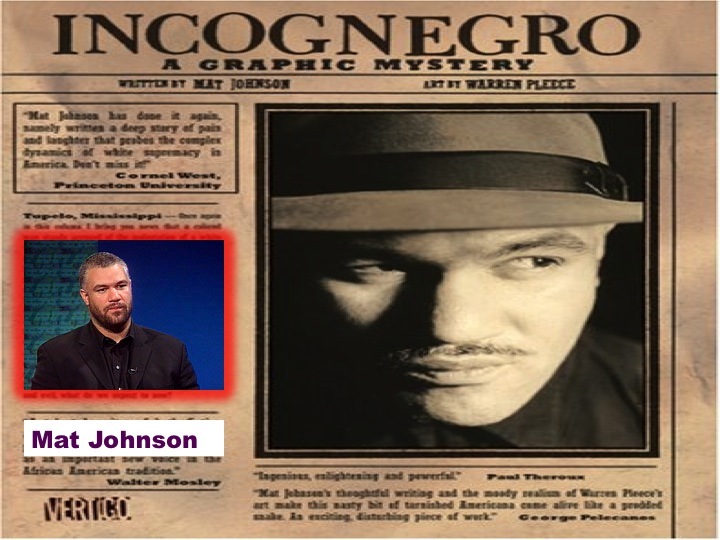 While reading this post and the responses it generated, I arrived at two important observations: First, that there was absolutely NO definitively recognizable Maus-like autobiography by a black comic artist; and second, that finding reasons for this absence depends upon prescriptive norms that continue to produce the absence in the first place. Allow me to explain by returning to the blog post. 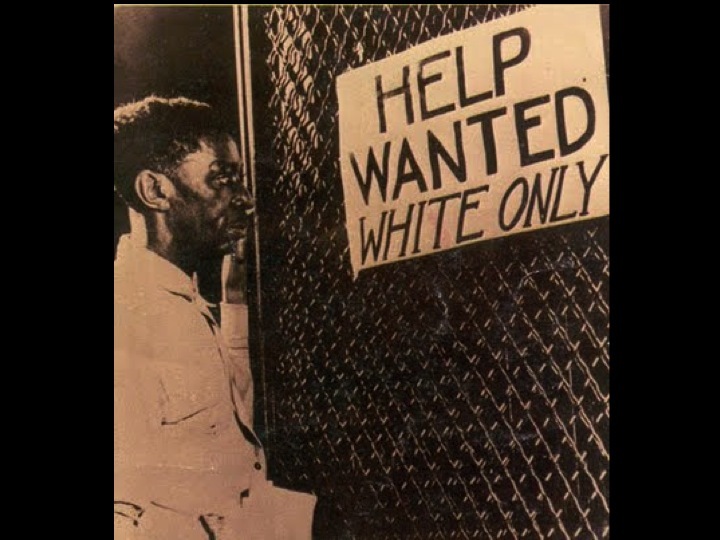 Like many of the responders, I remember preparing an answer that would circumvent the unsavory overtone of racial resentment in the original post, that racist backlash which mires other outliers trapped in the muck of xenophobia and antisemitism while insisting on some exclusive lifebuoy of identification that would deliver the African American reader from the quagmire of American pop culture. And what makes it a quagmire, by the way, is not just history but those lingering investments in a human standard still ardently rooted in black exclusion. My own indoctrination into comics was easy. 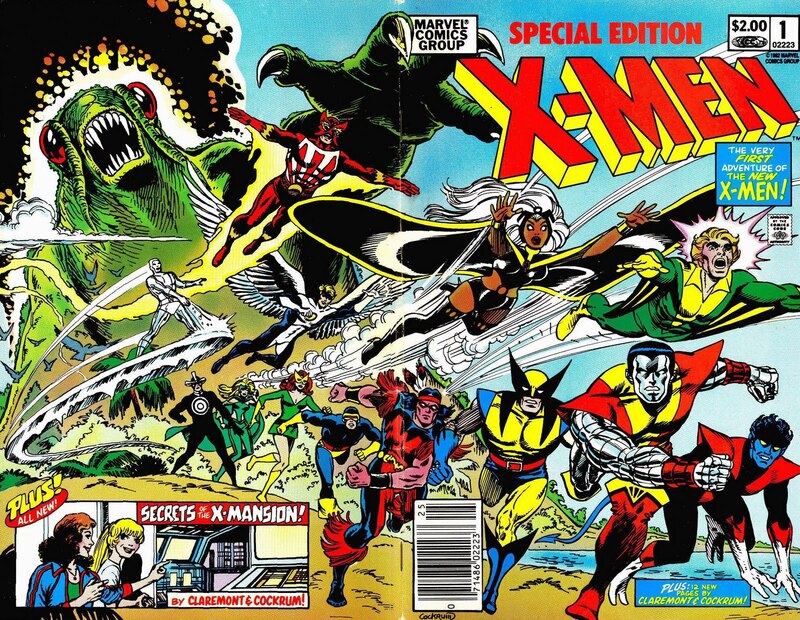 What better identification could a white looking mixed race son of an Afro-German woman and a black stepfather have than that superhero multicultural family of comic book mutants, the X-men? One step allegorically removed, the X-Men comprise a family: despite being, like my own, so different looking from each other. One step allegorically removed, the X-Men were my family. But that was to a boy hardly beyond double digits. 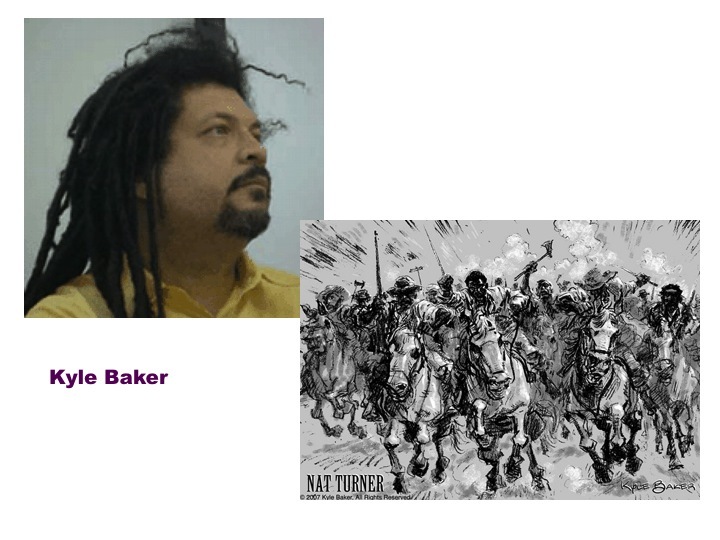 As a student of slave narrative and visual culture studies, who hardly ever dreams of having adamantium retractable claws or laser-beam vision–on most days anymore, I know all too well how painfully exhausting it can be to have to always be one step removed from the idealized standard. So I wanted to give this person on the blog–and the many other persons this one was speaking for– a list of books at the very least biographical if not autobiographical. And then books by white authors containing what respondents variously referred to as interesting, non-stereotypical or admirable black characters. 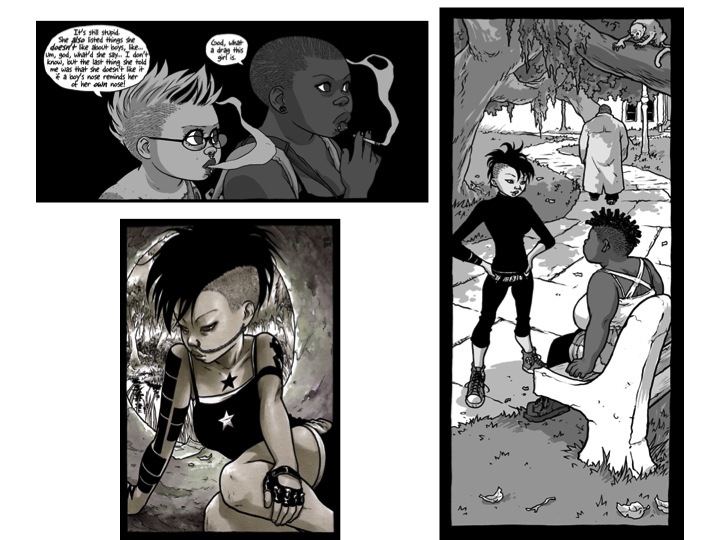 Similar dead-end suggestions justified the stereotypical via the aesthetic: one commentary championed the goth – culture comic Wet Moon, by white artist/writer Ross Campbell for its inclusion of black female characters who are exoticized mergings of types: think manga pinup girl meets Hottentot Venus. This logic proposes the visual to be a field of articulation somehow beyond the politics of race, transcending issues of identification and exclusion, to be appreciated for its own sake. 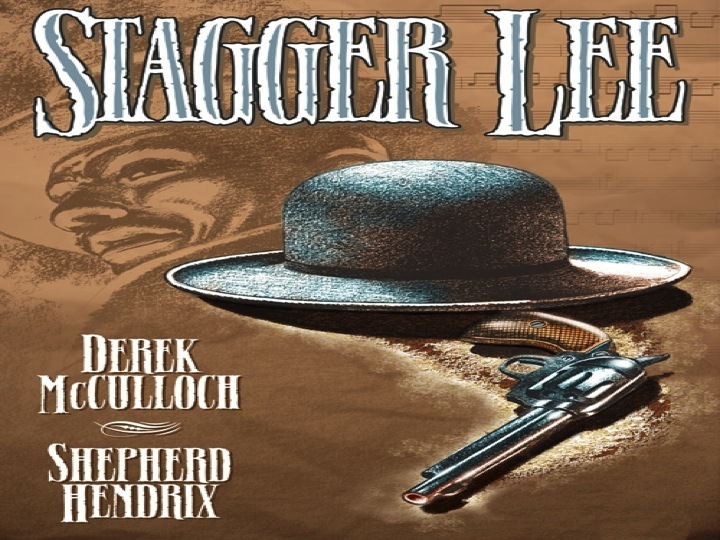 To say “you should look at the comic anyway, the artwork is beautiful,” is to aver the disciplining cultural function of comics, and to demonstrate yet again the way that judgments of aesthetic excellence often work to sweep aside the body in order to carve out a politically neutral space for disembodied abstractions. I expect you are all familiar with the tautology here, for the politically neutral space is nothing if not a political one. 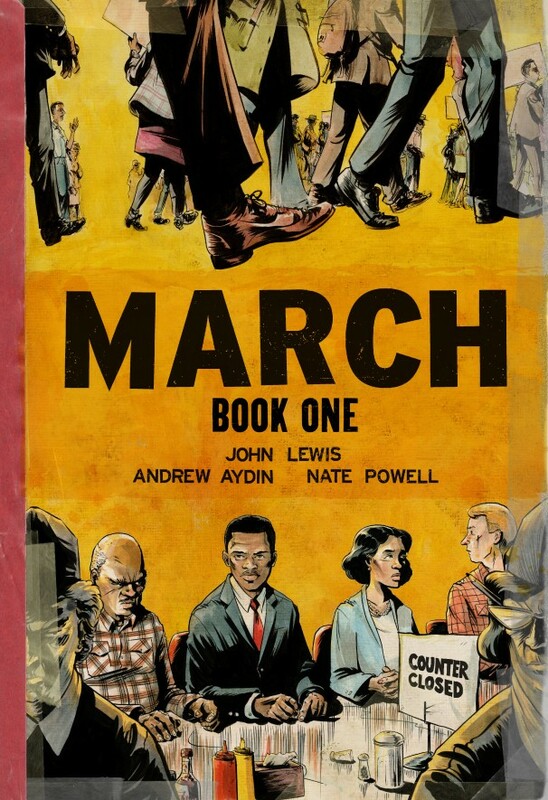 No such mistake is possible in the case of the wildly popular graphic novel March: Book One, a collaboratively produced memoir by the only living member of what is known as the “big six” leaders of the Civil Rights movement. Check out my analyses of graphic novels and comics in my book Reading Lessons in Seeing: Mirrors, Masks, and Mazes in the Autobiographical Graphic Novel (forthcoming from University Press of Mississippi). Every time I read your blog, I am astounded at the intelligence and depth of each article. You cover topics thoroughly and you don’t cower from controversy. I learn so much from reading your posts. 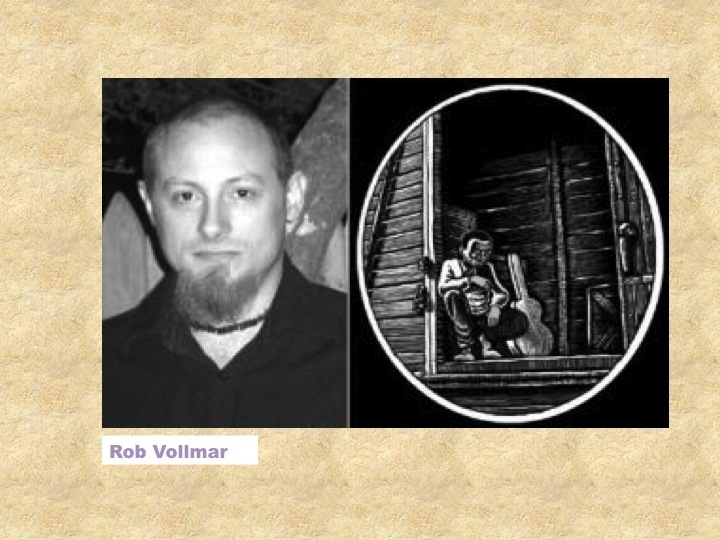 I had little knowledge of graphic novels (though I own a few) and will purchase March. Thank you.